Grexit? Gredge? Graccident? Grimbo? Each clever hashtag to describe Greece defaulting and leaving the eurozone is becoming more a reality, after talks between Greece and its EU creditors to unlock €7.2 billion for Athens to pay off its IMF debt failed. "A comprehensive deal is necessary before any disbursement can take place," Eurogroup President Jeroen Dijsselbloeme said at the press conference in Riga following the meeting Friday. "Responsibility for that relies mainly on Greece," he said, adding that too much time was lost during the past 2 months. 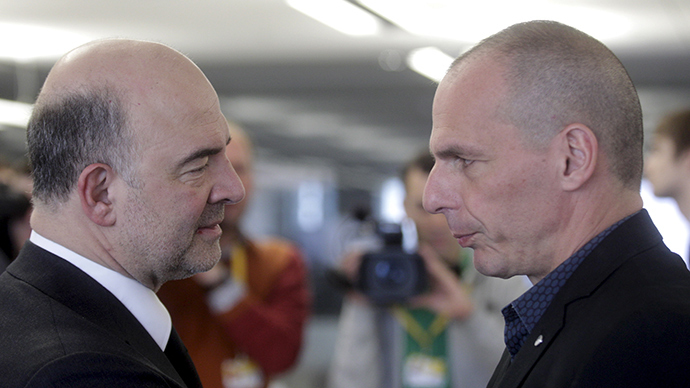 Greece’s four month bailout extension expires in June. Eurozone finance ministers held Greek debt talks in Riga, Latvia to discuss unlocking bailout funds, so Greece can pay its next $450 million repayment on an IMF loan. The bailout will help Greece’s struggling economy live through several debt repayments due over the course of the next two months. The euro declined on the news of no deal. The next summit will be held in May. "The current disagreements with our partners are not unbridgeable," Varoufakis said in his blog, also saying Greece will agree to sell national assets to raise money and that his country’s tax system must be reformed. However, the finance minister stood firm against further wage and pension cuts. Friday April 24 marks the day that was set as a deadline for the framework agreement over the terms of a new loan. Greek Prime Minister Alexis Tsipras met with German Chancellor Angela Merkel in Brussels on Thursday, and both agreed they wanted to reach a deal by the end of April. European finance ministers are waiting for a more concrete list of measures from Greece to reach a preliminary agreement on financing the country’s economy and external debt. Ahead of the meeting, several finance ministers said there will be no deal. European Vice-President Valdis Dombrovski and German Finance Minister Wolfgang Schauble both said there was not enough progress to release the funds. Is Greece leaving the eurozone? Varoufakis said that in order for Greece to remain in the eurozone, international lenders have to work with Athens to lessen the grip of austerity. The two sides have yet to set budget targets for 2015. Despite the gloomy attitude of officials, before the announcement, markets were heating up on a potential agreement. The euro hit a two week high and Greek banks that rely on the tranche being released saw shares rise 8 percent. The Athens stock market advanced 3 percent in early trading. Investor confidence leading up to the meeting was also high after Wednesday’s decision by the European Central Bank to increase the emergency liquidity assistance (ELAs) facilities Greek banks can borrow as a lifeline for its lending institutions. 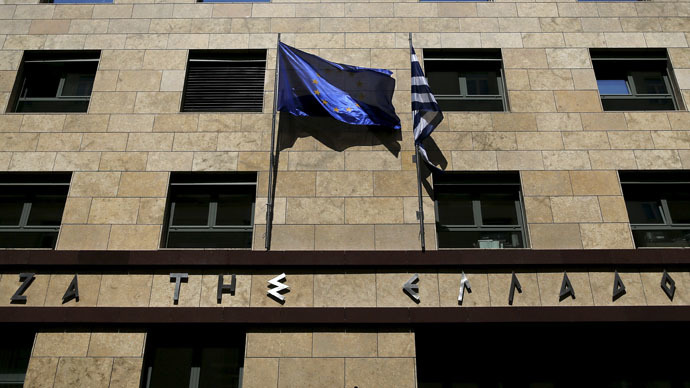 According to a Greek banking official, the ECB raised the Greek Central Bank’s lending capacity to €75.5 billion ($81.2 billion) up from €74 billion last week. Greek government bonds also rose slightly, decreasing the yield on debt. Yield on Greece’s 2-year debt fell to 24.6 percent from 25.4 percent on Thursday evening. The Syriza party won elections in January on the promise to stay in the eurozone, but renegotiate the country’s €316 billion debt.